Regia Anglorum is organised into numerous local groups, by far the majority of which are located in the United Kingdom. Membership of the society is always via one of these groups, and each has a "landgrant", which denotes is area of interest. 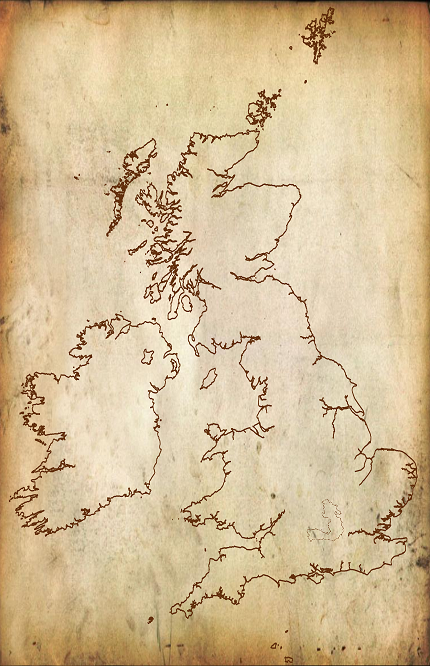 This page shows the approximate locations of the many landgrants in the United Kingdom. Click on a marker to retrieve information about that particular local group. For the complete list of local groups, return to the main list of local groups. A group in Gwynedd led by Alex Parry who tend to portray Welsh culture. They regularly hold training events in Bangor Stone Circle. A group in Ceredigion led by Dave Carruthers who tend to portray Norse and Welsh culture. A group in Derbyshire led by Adrian Sanderson who tend to portray Anglo-Danish culture. A group in Nottinghamshire led by Simon Diment who tend to portray Norman culture. A group in Lancashire led by Enid Noblett who tend to portray Norman culture. A group in Hertfordshire led by Gavin Archer who tend to portray Norse culture. A group in Lothian and the Borders led by Rhydian Jones who tend to portray Norse culture. A group in Essex led by Matt Robinson who tend to portray Norse culture. A group in Dumfries and Galloway led by Andy “Guþrum” Nicholson who tend to portray Norse culture. A group in Cambridgeshire and Huntingdonshire led by Allen Moseley who tend to portray Anglo-Danish culture. They regularly hold training events in Burwell Castle. A group in West Glamorgan led by Myles Stevens who tend to portray Cymry culture. They regularly hold training events in Singleton Park. A group in North Hampshire and West Surrey led by Alan “Ulf” Tidy who tend to portray Anglo-Saxon culture. A group in Sussex led by Amy “Ætte” Woodcock who tend to portray Anglo-Saxon culture. A group in Yorkshire led by Helen Mallalieu who tend to portray Anglo-Danish culture. A group in Gloucestershire led by Roland Williamson who tend to portray Anglo-Saxon culture. A group in Oxfordshire led by Ian Lewis who tend to portray Anglo-Saxon culture. A group in Lincolnshire led by Tom Gibson who tend to portray Anglo-Saxon culture. They regularly hold training events in Lincoln. A group in Fife and Aberdeenshire led by Phil Huckerby who tend to portray Norse culture. They regularly hold training events in St Andrews. A group in North-West Kent led by Joe Ellen who tend to portray Anglo-Saxon culture. A group in Warwickshire led by Tom Robinson who tend to portray Anglo-Saxon culture. They regularly hold training events in Bagington. A group in South-East Kent led by Adrian “Clanky” Pinn who tend to portray Norman culture. A group in Glasgow and Ayrshire led by Allan McVie who tend to portray Anglo-Danish culture. A group in Orkney led by Elvara Hrolfswiffe who tend to portray Norse culture. A group in Norfolk led by Pete Twelftree who tend to portray Norman culture. A group in Merseyside led by Ian “Snorri” Uzzell who tend to portray Norse culture. A group in North-East Kent led by Rob “Gunnarr” Howell who tend to portray Norse culture. They regularly hold training events at Wychurst. A group in County Durham led by Tony Peel who tend to portray Anglo-Danish culture. A group in Berkshire and Buckinghamshire led by Kevin “Ketil” Cowley who tend to portray Anglo-Saxon and Norse culture. A group in Staffordshire led by Tim Albertson who tend to portray Anglo-Saxon culture. A group in South Yorkshire led by John Stubbings who tend to portray Anglo-Danish culture. They regularly hold training events in Conisbrough Castle and in Hellaby. A group in North Yorkshire led by Ali Thompson who tend to portray Norse culture. A group in Westmorland led by Katie White who tend to portray Norse culture. A group in The West Country led by John “Train” Shulver who tend to portray Anglo-Saxon culture. A group in The Wirral led by Steve Banks who tend to portray Norse culture. A group in East Glamorgan led by William Vallance who tend to portray Cymry culture.